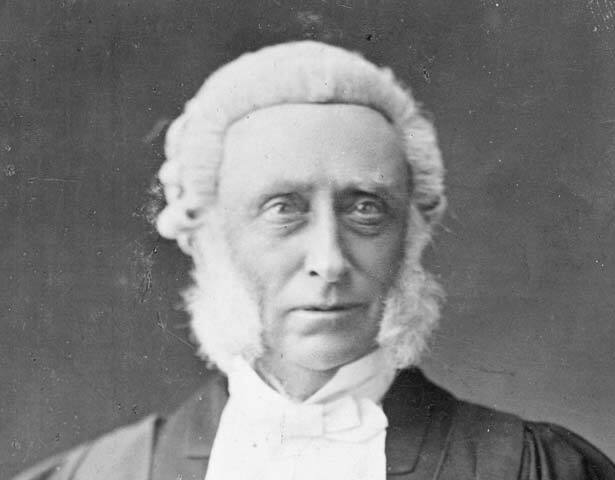 Frederick Whitaker had advanced views on electoral reform, but the reputation of the two-time premier was tarnished by his involvement in land speculation and confiscation. Whitaker reached Kororareka in 1840 and followed the capital to Auckland a year later. In 1845 he became an adviser to the governor. Although he sat briefly in the House of Representatives, his power base was the upper house, the Legislative Council, where he became speaker in 1855. Whitaker mixed politics with business, working closely with financier Thomas Russell. When Domett resigned he became the first premier to lead from the Council. In the early 1860s Whitaker and Russell led the ‘war’ party. He believed that to uphold ‘civilisation and progress’ European settlers must have easy access to Maori land. He urged ruthless pursuit of the war, and favoured large-scale confiscations of Maori land. After being toppled in 1864, Whitaker opposed moving the capital to Wellington. Three years later he left politics to join Russell in business. In 1876 he returned, holding several posts before again becoming premier in 1882. A year later he resigned to attend to his flagging investments. Whitaker’s last years were stressful as he teetered on the brink of financial ruin. He returned to public life in 1887 as attorney-general but retired due to ill health in 1890. We have 1 event in history, 32 biographies, 15 articles, related to Frederick Whitaker.